We opened The Book Corner in September 2017 with Bookworms, our dedicated children’s bookshop, next door. 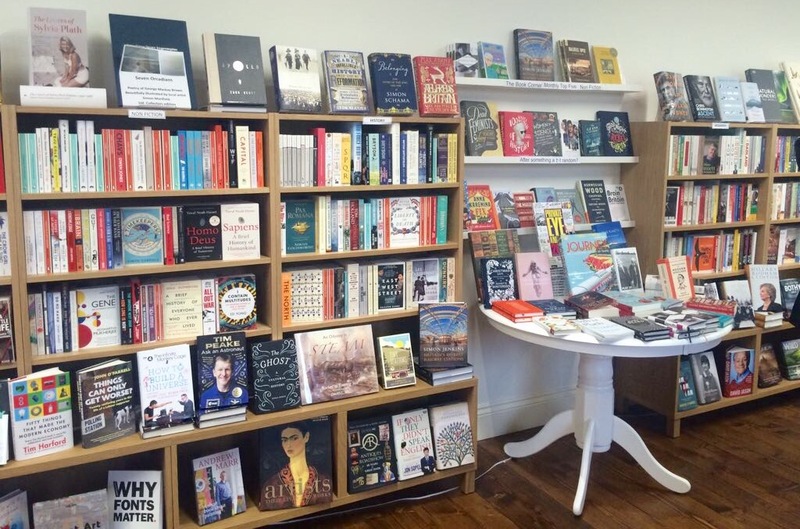 We are proud to have brought an independent bookshop back to Halifax and are located in the recently renovated Grade I listed Piece Hall, the only example in this country of the great eighteenth century northern cloth halls. The shop is owned by Kate Claughan who also owns The Bookcase in Hebden Bridge. The team are avid readers and all-round book champions, passionate about delivering events that offer something extra for the local community whether it be a local author book signing, a poetry collection launch, a spoken word open-mic night, a regular YA book club or a good old-fashioned story-time for younger readers. We are also delighted to partner Square Chapel Arts Centre supporting their various events for authors and poets including Hollie McNish, Roger McGough, Willy Russell and Stuart Maconie. We have chosen to review two books by local author Benjamin Myers. Ben is an author, journalist and poet who has written seven books as well as many poems and short stories. His novel The Gallows Pole has just won the 2018 Walter Scott Prize and is our best-selling fiction title. Ben recently collaborated with ‘Yorkshire’s very own Wainwright’ and cartographer, Christopher Goddard, to create a Cragg Vale Coiners map, a sweeping walker’s guide to the locations featured in the novel. It is well worth a trek through the blustery bogs and banks to experience the incredible Calder Valley but always with a hip flask close at hand. 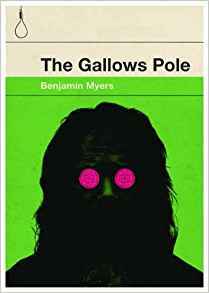 The Gallows Pole is a visceral re-telling of the Cragg Vale Coiners’ efforts to ‘clip’ the late 18th century England’s economy into devastation. Myers delivers a windswept tale of 1769 Northern England, diving head first into the murky world of pseudo King David Hartley and his gang of land-workers as they bully and spit their enterprising scheme across the Calder Valley. No man will stand in their way, but can they avoid the hangman’s noose? Deeply resonant for the modern reader, this is a vivid portrait of the working man and his uprising against the rich establishment. Myers has woven an unforgettable tale filled with landscape, poetry and Yorkshire vernacular that has you grasped by the throat long after the final page has been turned. A worthy winner of the 2018 Walter Scott Prize for Historical Fiction. 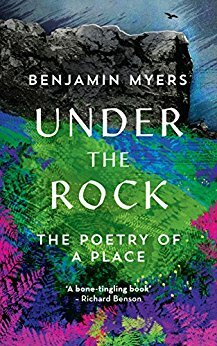 Under the Rock is the most beautifully written non fiction book. Reading it takes you on a journey into the West Yorkshire village of Mytholmroyd which is situated in the steep sided Calder valley. Scout Rock, is present as a constant companion. The author lives below it; his relationship to the rock is examined throughout the book. The rock has also affected others who live in the valley, most famously Ted Hughes. The observations on nature are glorious whilst not flinching from describing the raw and gritty side. The book is split into parts: Wood, Earth, Water, Rock. At the end of each part are poems which make you feel as if you accompanied the author on his walks around the valley. There is an extremely powerful sense of place. I was fully immersed in the landscape, the water, the woods, the rock. Lyrical, powerful, engaging, moving and fascinating. Highly recommended. The Gallows Pole is published by Bluemoose Books and Under the Rock by Elliott & Thomson. Review by Katie Ashwood and Louise Beere. 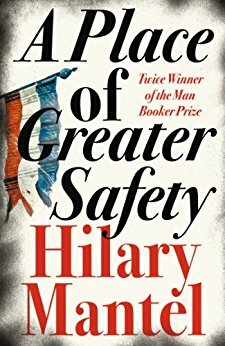 I’m not at all sure that I can even begin to do justice to Hilary Mantel’s great sprawling novel about the French Revolution. I may, in fact - both book and subject matter being so complicated - end up writing more about my own reaction to it than an actual bona fide review. First off, I have to confess that when I originally picked up the book I found the opening chapters somewhat dry and uninspiring. It was only an act of faith – I came to it direct from the spellbinding Wolf Hall – which kept me going. It was by the great Hilary Mantel, and that was enough for me. So I kept at it, and little by little it began to grip me, until, having reached the end, I felt an immense sense of loss and had immediately to go back and re-immerse myself; and then, having reached the end for a second time, could still hardly bear to say goodbye. So great a hold did it have over me that I began quite obsessively to seek out every book I could lay hands on that dealt either with the Revolution itself or with the principal players. I soaked myself in the period. I even learnt all the words of the Marseillaise and drove my husband half demented by breaking into song as we drove the dogs up to the park every morning. So, yes, it is one of those rare books which has lived with me over the years and which I shall doubtless go back to again and again. Having said that, I recognise that for some it will not be the same transcendent experience it has been for me. It depends, I think, on what one looks for in a book. Mantel deals meticulously, in absorbing detail, with both the causes and the course of the Revolution, but she is no drama queen. There is none of Dickens’ lurid storytelling or fevered activity. Even during the Terror, as heads roll and the streets run with blood, she keeps a firm control over her measured prose. She has no need to invent subplots of horror: the horror is all around, part of the everyday landscape, and the reader lives through it along with her characters. And it is these characters which for me make the book such compulsive reading. From schooldays on we are taught to regard Robespierre and Danton as evil incarnate, on a par with Hitler and with Stalin: Mantel brings off the not inconsiderable feat of presenting them as fully rounded human beings. Deeply flawed, to be sure, and possibly by the time of the Terror unbalanced, at least in the case of Robespierre. The Sea Green Incorruptible clung tenaciously to the bitter end to his purity of belief, whilst the larger than life Danton, less wedded to his principles and consequently far more of a pragmatist, was not above seizing the opportunity to enrich himself. The huge cast of characters is what brings the book so vividly alive, the women as well as the men. To be sure, Mantel takes authorial liberties. Who can fail to be entranced by the mercurial Camille Desmoulins, enfant terrible of the Revolution? In reality, history would seem to tell us, a decidedly unwholesome and unprepossessing creature. But who is to say that history can be relied on when it comes to fixing a person’s character? Mantel has done exhaustive research, has all the facts at her fingertips, and interprets them though a novelist’s eye to create a richly colourful, if violent and disturbing, world . Ultimately, without the need for heightened drama – she doesn’t even depict the death of Robespierre. Could she not bring herself to do so, perhaps? – she draws us into the very heart of those troubled times. You feel, by the end, that you have not so much been reading a book about the French Revolution as having actually been part of the experience. Not the easiest read, I will admit. It does require a degree of perseverance and effort, but how rewarding! A Place of Greater Safety is published by Fourth Estate. Miriam Halahmy writes novels for children and young adults. Her books have been published in the UK, America and other territories. Miriam’s books look at some of the most challenging issues of our time, dealing with immigration and asylum seekers currently and in the past, as well as homelessness, racism and family relationships. A new edition of her Carnegie nominated novel, Hidden (Troika Books, 2018), has been adapted for the stage and will tour in the autumn. Her latest novel, Behind Closed Doors (Firefly Press, July) focuses on two fifteen year old girls on the verge of becoming homeless. Behind Closed Doors examines what it means to love and be loved, and how to make a life when there is no security at home. More on Miriam's website. T.C. 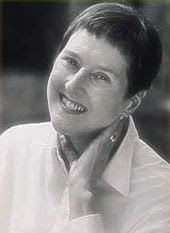 Boyle, an award winning American novelist and short story writer, is not widely known here in the UK. I was first introduced to his talents in a lengthy short story called Balto, set around a court case. A drunken father forces his twelve year old daughter to drive them home from school and she hits a cyclist. Will she lie for him under oath? Great dilemma! This new collection, The Relive Box, shows off Boyle’s mastery of the form. As in poetry, not a word, a syllable or a line break are out of place. Each story is beautifully crafted with memorable phrases such as “the light making a cathedral of the street trees” and “dandruff like sleet in her hair.” Set now or in the near future, this is a prophetic, provoking, challenging and at times, downright scary collection; a call to arms, reflecting the current state of society and the rocky road we are heading down. In the title story, every home has a Relive Box and Boyle shows us the terrifying potential of the digital age. The Box consumes every waking minute and most of the night. The children fight the adults for access and work has become an irritating distraction from the real purpose of life – time on the Relive Box. Read this story at your peril. It still lives with me weeks later. Other stories take current concerns and turn them on their head. In She’s the Bomb terrorism is the focus but as a convenience tool. A student abrogates all responsibility for fellow human beings and invokes a fake terrorist scare twice for her own selfish purposes. The Argentine Ant is a reflection on moving between cultures, a sting in the tail and the startling way creative thought can emerge from totally unexpected quarters. We are drowning under a deluge of films, books, op eds, etc etc on the fate of humanity in the post-digital, post-genetic modification age. What if this has already happened? What will it look like? How will it affect us? Boyle considers these questions (almost with glee) and hits below the belt, sparing no feelings. Thoroughly recommended. 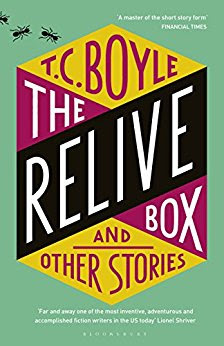 The Relive Box is published by Bloomsbury. Graeme Fife has written many plays, stories, features and talks for radio, stage plays and articles for newspapers and magazines. 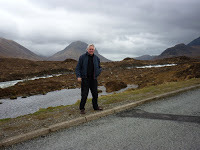 He's the author of a string of books - children's stories, biography, works of history, four studies of the mountain ranges of southern Europe and, like many of us, waits with the patience of Job for decision on a number of manuscripts. He is now a regular contributor to BBC Radio 4's From Our Own Correspondent. Larry McMurtry is a captivating writer, a weaver of stories out of a tradition of campfire yarn-spinning which evokes Homer’s epic poems. McMurtry’s fictional landscape is that of the borderlands and open territories of the old West, the lands overrun in the great expansion of America by the settlers which led to the eviction of the peoples who’d lived on their ancestral lands for millenia. They spoke of borrowing land, the pioneers demanded ownership. 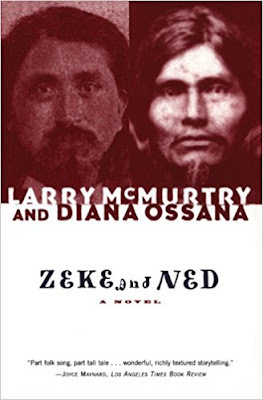 McMurtry has collaborated with Ossana on books and screenplays – their adaptation of Brokeback Mountain won an Oscar in 2005 – and in Zeke and Ned they explore a particularly fraught passage of late nineteenth century history in the forging of the Union which resonates powerfully in what is happening to that Union today. Even as I read the novel, it occurred to me that it goes some way to illuminate why the NRA exerts such a powerful influence in American politics, not only with its strident claim to the right to bear arms apparently enshrined in the Constitution, but to the visceral desire of its vociferous members to embody the freewheeling spirit of the frontiersmen, "a manz gotta do wotta …" blah blah. Zeke and Ned is loosely based on the life of Ned Christie, a Cherokee, who, as a child, walked what the dislocated tribes called The Trail of Tears, the long, punitive march from their homelands in the south-eastern states to lands west of the Mississippi, under the terms of the Indian Removal Act of 1830. The novel explores the anguish and heartbreak of the clash between the displaced peoples and the relentless onslaught of ‘white law’, administered by often ill-paid and harassed judges in small town outposts and enforced in hot lead by US Marshalls, many of them post-bellum bandits, criminals, thugs and murderers, who could no more fire a pistol accurately than they could read. The terror of such application of notional justice is apparent in Ned’s summation of his plight, accused of murder, in hiding: ‘The one thing he could count on about the white law…was that sooner or later, day or night, winter or summer, they would come’. The novel ends with chapters loosely based on the historical fact of Ned Christie’s War, when Ned fights off a succession of villainous white posses sent to root him out of the fort he’d constructed for his young wife – recently brutalised by one posse - and himself in the woods on the uplands of Shady Mountain in Oklahoma. In these days where truth has taken on a Humpty Dumptyish aspect and facts are, it seems, manipulable, it’s interesting to ponder the matter of a novel’s truth – a resonance in our understanding of human relationships – and its bending, or ditching of facts in deference to narrative propulsion, a hallmark of McMurtry’s writing. Does that vitiate the history? I don’t believe so. As someone once remarked about the historian Tacitus: ‘He may have got his facts wrong, but he told the truth.’ For the novel admits to fiction as a means of exploring the jeopardies of the people caught up in its own construct of dramatic facts. The imitation of serious events, the hero destroyed by excess of virtues, the explosion and, thereby, catharsis of passions, a scenario that stirs pity and fear…all make Zeke and Ned a compelling American tragedy. A similar tragedy may, surely and grimly, be seen to resurface in Sandy Hook, Stoneman Douglas…too many others. A while ago, I noted the sign above a gun shop in north-west America: Blessed are the Piece Makers, this at a time when protesters at the closure of the pits were parading with placards declaring: God, Guns and Coal made America Great. Hiding behind the insistence that guns are a right and hunting an integral part of American manhood, the clamour of the NRA has a rocky logic: bad man with gun is stopped by good man with gun. Really? McMurtry’s prolific output includes a masterly series of novels, both comic and sorrowful, and unfailingly sympathetic, centred on small town Texas, beginning with The Last Picture Show…a continuum of America’s contemporary history.